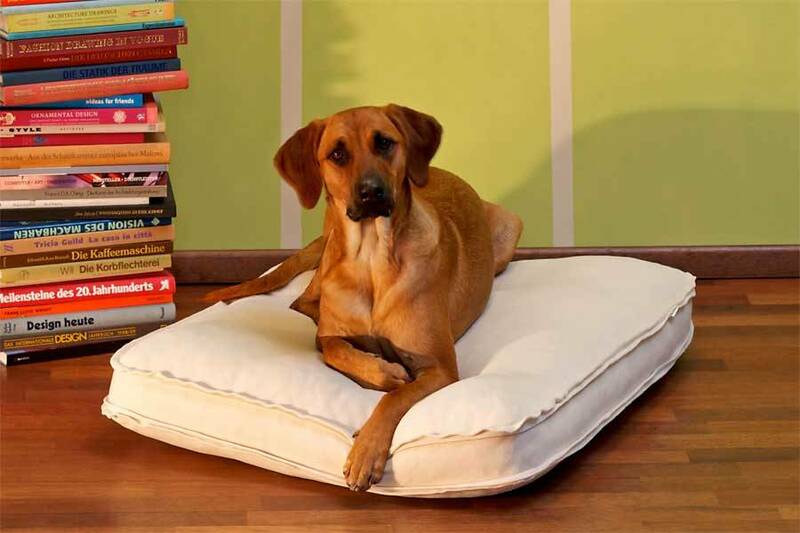 Every pet deserves a qualitative cushion. You already have a beautiful basket in which the cushion must fit or you want a specific size that fits your pet and an available space? 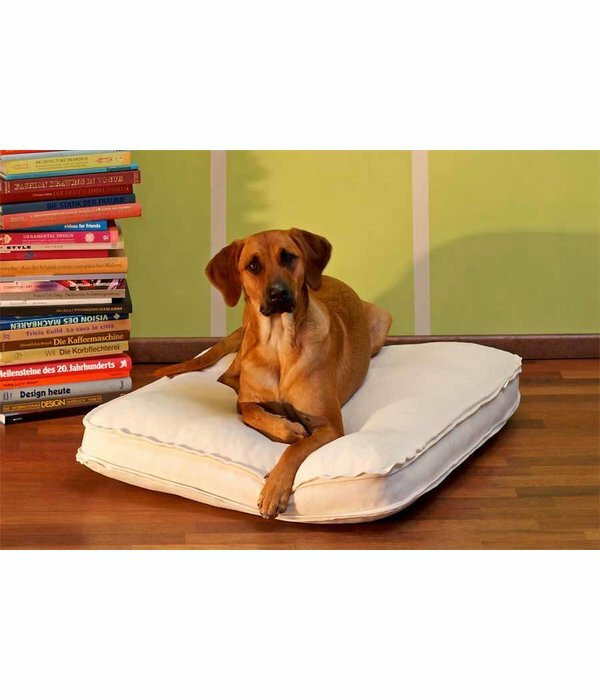 Ask your free quote for a comfortable cushion in high quality latex, permanently elastic, stable and maintains its full quality for a long time. Displacement of the high quality filling is prevented by stitching the filling, so that it has a mattress effect. 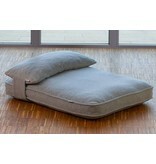 The bed surface therefore remains straight and the bed therefore retains its shape. Sweet dreams are guaranteed! 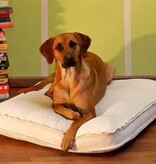 Orthopedic justified, so also suitable for animals with osteoarthritis, dysplasia or stiff joints. 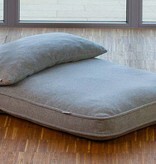 - The thickness of the mattress, of course, has an impact on the comfort. The ideal thickness is between 13 and 15 cm. 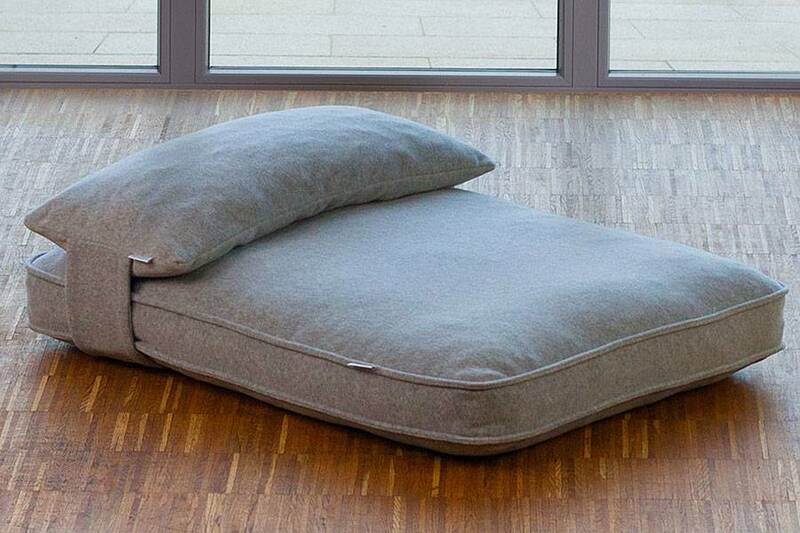 - The rectangular cushions can be combined with a head pillow for extra comfort, because a lot of dogs like to rest their head on a pillow, like you do. 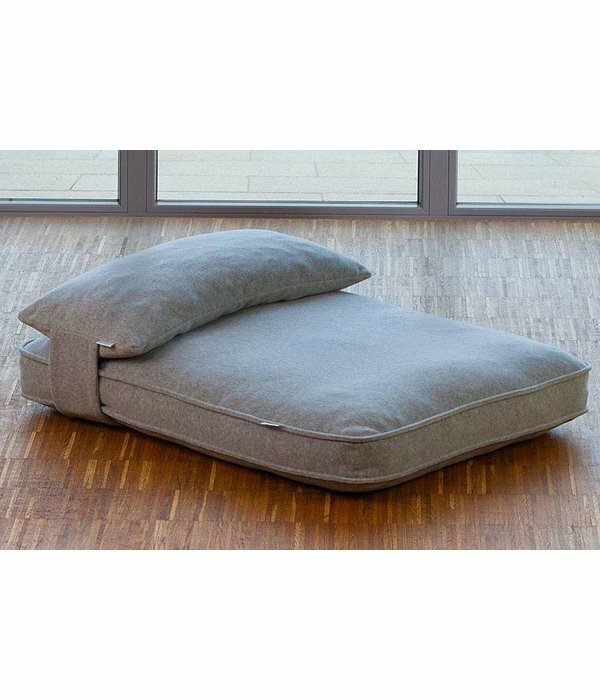 You can also order an additional incontinence cover, so that in case of accidents the mattress stays dry (useful for puppies or older dogs that have accidents or leak). But it also protects agains wet dog and drool from chewing a bone. After submitting your quotation request, you will be contacted by us as soon as we have your quotation available. 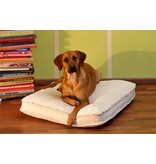 If you wish to purchase the pillow, we will provide you with your personal purchase link to complete the purchase. Custom made items can obviously not be returned.